(1) Question and answers are available when selecting questions. No more having to jump back and forth between questions you selected and preview screen. (2) Build assessments faster. 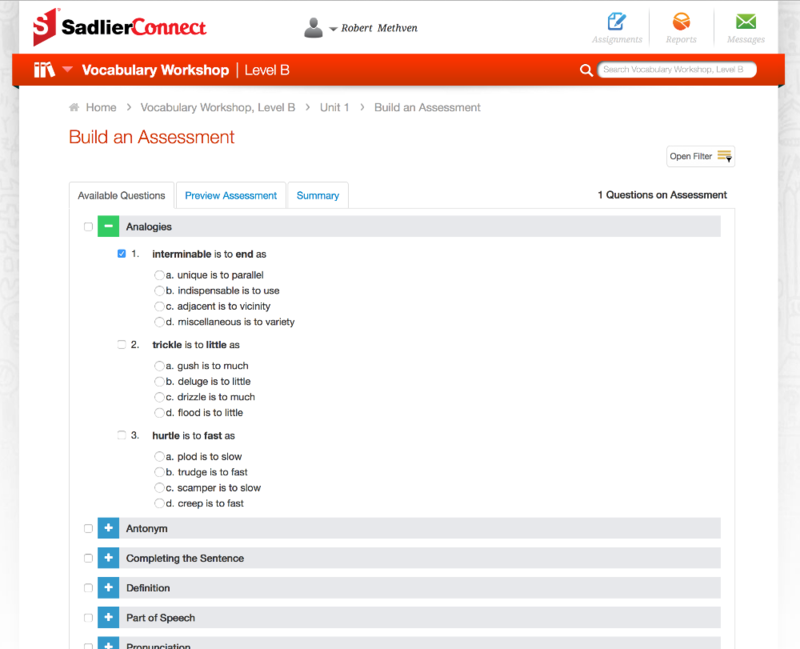 Now you can select a group of questions to add to your assessment instead of having to select them one by one. (3) Preview Assessment now allows you to remove questions. No longer do you have to hop back and forth between the question selection screen and preview. You can remove questions directly from the preview tab. (4) New Summary Tab. This provides you a quick view of the number of questions you selected, the answers, and the standards the question hits. There are other various enhancements, so we recommend you give them a try.